I have been measuring Wee DAC boards this week and there has been good and bad news. Good news is that the performance will be excellent, and the bad news is that not on this first PCB version. It has been a bit bumpy road with all testing but results have been getting better. Signal-to-noise ratio, or dynamic range, has been quite consistent throughout the first measurements. I have been mostly measuring A-weighted SNR of 119 dB; noise level is around -111 dBV, signal level 2 Vrms (6 dBV), so A-weighting of this gives around 119 dB. However, I am sure I can push it on the 120 dB border. Distortion figures have not been so simple or consistent. 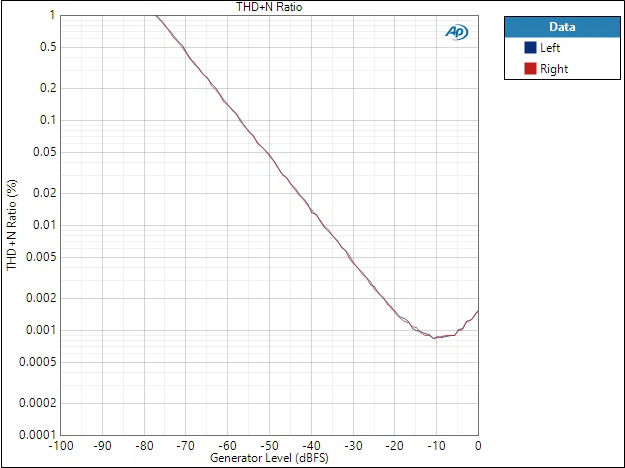 I started off with -93 dB THD+N and an odd looking FFT, seen below. I have never seen so bad FFT on these high quality DACs. 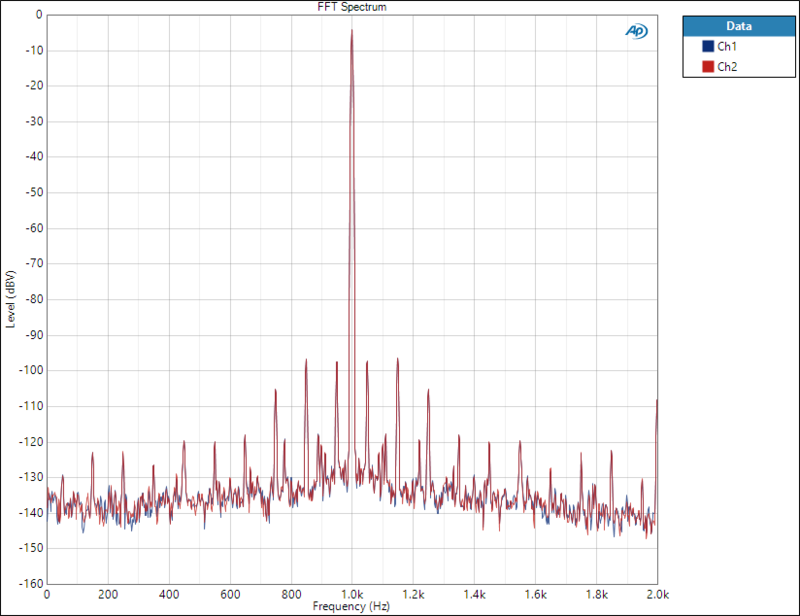 The figure -93 dB was still ok but these sidelobes a clear sign something was not right. The sidelobes starting at ±50 Hz off 1 kHz was a sign of power supply induced problem – although I did spend quite some time trying to figure out the source. At this point I had been testing with W-Breakout board, bench PSU supplying power. Apparently the issue was the bench PSU not being good enough (or the long wires causing issues). I swapped to my W-PSU power supply baseboard and things started improving. With some ugly mods I have measured THD+N at 1 kHz 0 dBFS -108 dB. This was with lots of extra capacitance and an ugly power supply mod. It will not be possible to add that much capacitance on the tiny PCB. However, I hope a couple of power supply changes will remove the need for all the extra capacitors. Understanding more what matters requires more tests. However, I am quite confident I will find a good compromise where the performance will be excellent, still keeping the tiny form factor and costs lowish. One slight concern has been the shape of THD+N vs. frequency curve – distortion is much higher on lower frequencies which is a bit unexpected. However, with some tests and modifications I have been able to push it down a bit so I hope better implemented changes will improve it further. I will write more about the modifications and what is important on this DAC chip when I have conducted more tests. I am still not feeling confident enough on understanding all the twists of the DAC chip. Therefore, I have decided to do something I should have done in the beginning – make a test board. So next I will make a lot larger ugly board where I have space to put better regulators and extra capacitors on all supplies if necessary. Testing on this gives me a good understanding what are the sensitive bits that require extra attention (and valuable board space). I have been working on this board design this weekend but it is not finished yet. I expect to finish and order it in the next couple of days, then around two weeks to get the PCBs. Until that there will not be lots of updates although I will keep testing some other things. I have some changes coming on all boards as well as system-level so eventually all boards require re-spin. Except W-Breakout as the initial tests showed having power supplies too far from the DAC deteriorates the performance too much. Therefore, all baseboards will have at least some kind of power supply. I have many years of audio experience. If there are problems, this is 99% always due to incorrect grounding. P.S. I love this big SMD capacitor! How do you go about troubleshooting the boards!? How do you know what’s causing the problems? 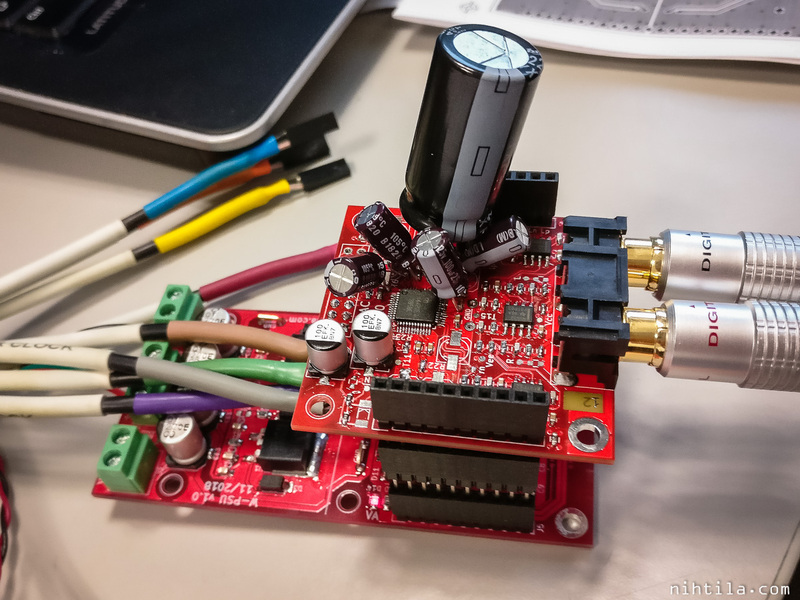 A combination of educated guess and trying a lot of things 🙂 In case of a hardware-controlled DAC chip, pretty much everything is related to references and power supplies or their grounds. Output is one thing of course, output loading and the output circuit itself. When it comes to references and power supplies, then it’s pretty much using the knowledge at hand and trying things. Simple ideas but underlying issues can be very complex, after all these are not really issues per se, for example we have harmonics in the order of microvolts compared to a 1-volt signal, and want to push them even lower.